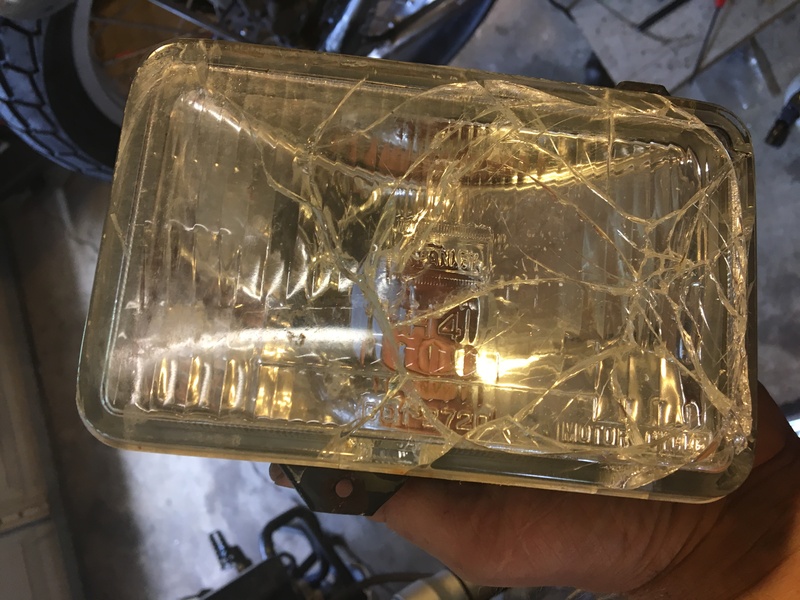 While riding at Thaw, I got some rocks thrown at my light and it shattered. Unfortunately, there aren't a lot of options for replacement without spending a bunch of money. An eBay listing had a couple of Ascot lights for $30, so I'd figured I'd give them a try to see if they'll adapt. Not the best of shape, but maybe a blast and powder or a lack of caring will make it look better. The Ascot light and ring work together and the light mount doesn't match to fit the DR frame. 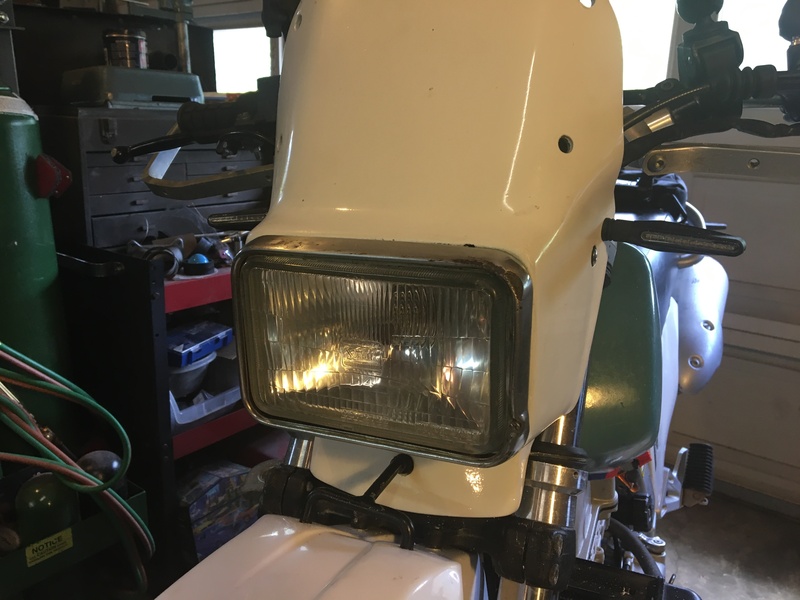 It was a right size, however to fit the Ascot light into the DR fairing like it does in the stock Ascot bucket. So with a little adaptation (mainly removing material for the Ascot brackets), I was able to get it all to work.